Adults: €299 for two adults. €52 per additional adult. Please note: large backpacks, suitcases, trolleys and large purses are not allowed in the Colosseum or Roman Forum. 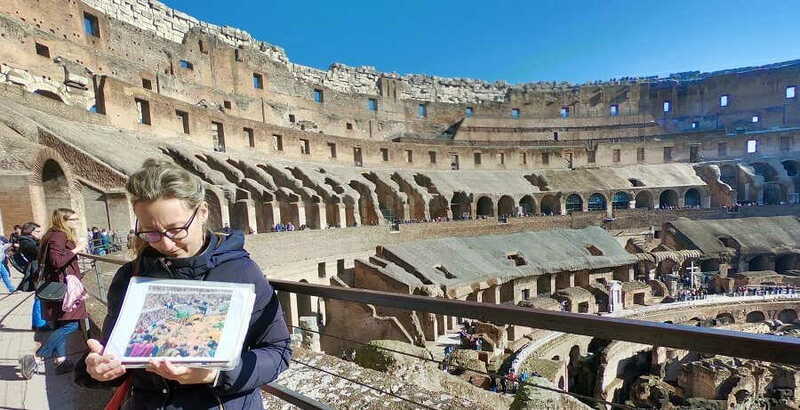 As there is no storage available at the Colosseum, we strongly recommend leaving large bags at home. 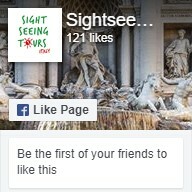 The meeting point for this tour is close to the Colosseo metro station, 20 minutes prior to the start time. You will receive full instructions once you have completed your booking. Explore the ancient narrative of Rome and discover some of the world’s most archaic sites with a dedicated guide on our Private Colosseum Tour. This whirlwind half-day tour will take you back thousands of years, giving you the chance to delve into traditional Roman customs and marvel at the city’s incredible history through its iconic monuments. 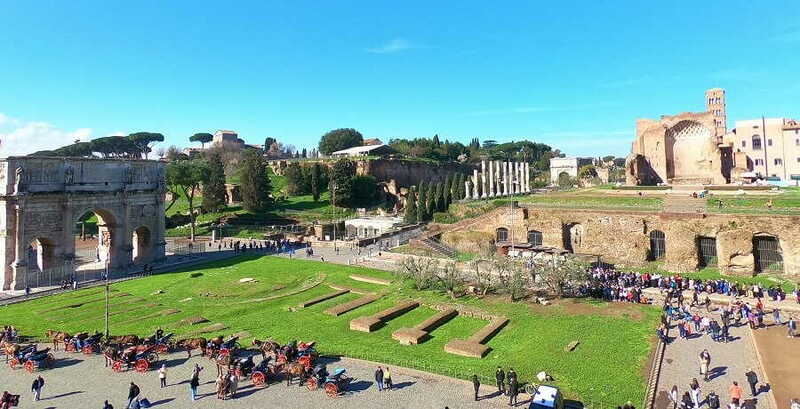 A private guide offers you the opportunity to delve deeper into the history of this ancient region of Rome, offering you a more personal experience than the group tours. As well as exploring major landmarks like the Colosseum and the Roman Forum, you’ll get to skip the queues for a smoother experience. 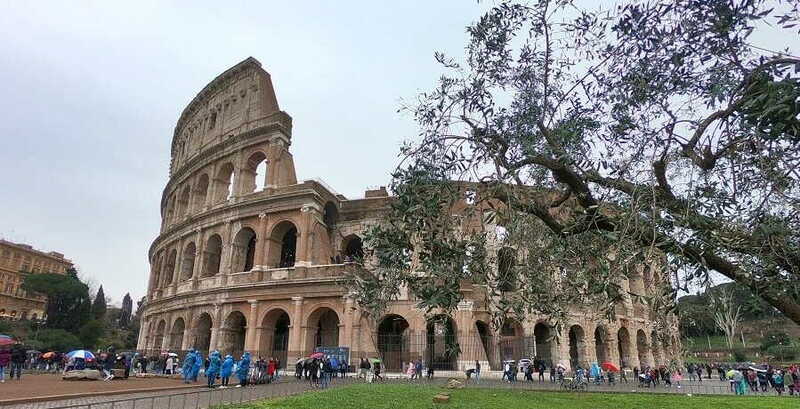 The half-day ancient tour kicks off in front of the Colosseum, where you’ll delve deep into the history of this iconic piece of architecture before heading on to the equally as impressive Amphitheatre. You’ll get to queue jump here, so your ancient adventure won’t be broken up by waiting around. While here, you’ll learn all about the struggles of the Roman gladiators and recreate visuals of the gory games held in the arena. From the sun-baked terraces of the Amphitheatre, your guide will provide a fascinating insight into the Arch of Constantine and other monuments that flank the Colosseum before taking you on to the Roman Forum. Some of the city’s most memorable moments in history took place here, and from its elevated vantage point, you can gaze out at the ancient monuments peppered around the city – keep your eyes peeled for the Curia, the temples (including the funeral altar of Julius Caeser), the Temple of the Vestals, and the Arch of Titus. 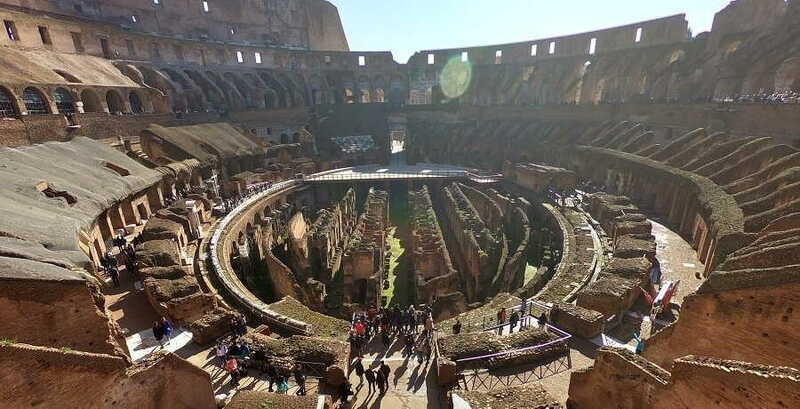 Then the Private Colosseum Tour takes you on to the Palatine Hill, the pretty hill which sits over Rome and marks the spot where Romulus stumbled upon the city. It later became the spot of the imperial residences, and today you can cast an eye over the remains of the Imperial Palace which was built by the Emperor Domitian. Discovering the many historic facets of Rome is a once-in-a-lifetime opportunity, where ancient pasts become present truths. We’ll finish up by admiring the view over the Circus Maximus, the first and largest circus in Rome that was used for the ancient sport of chariot racing. Afterwards, our encounter with the past comes to a close, but you’ll be able to keep the many memories of Rome you’ve made from both its tragic, fascinating past and its beautiful present.